The 6 Basic Power Tools Needed To Build And Create Anything! The 6 Power Tools Needed To Build And Create Anything! When it comes right down to it, the majority of our farm has been built from scratch with the aid of 6 main power tools. With just a few power tools, projects like this harvest table are easy to complete. During past 5 and a half years of creating Old World Garden Farms, we have had more than our fair share of woodworking projects. It all began with the creation of a recycled chicken coop from pallets for our first flock of chickens. Then came the tearing down of two old barns to create our “new” recycled barn. From there, the projects snowballed! There have been pergolas, arbors, tables, fences, bee hives, wine racks, pantry cabinets, garden sheds, a second chicken coop and more. And of course, this year, the biggest DIY project of all, the building of the Simple House. 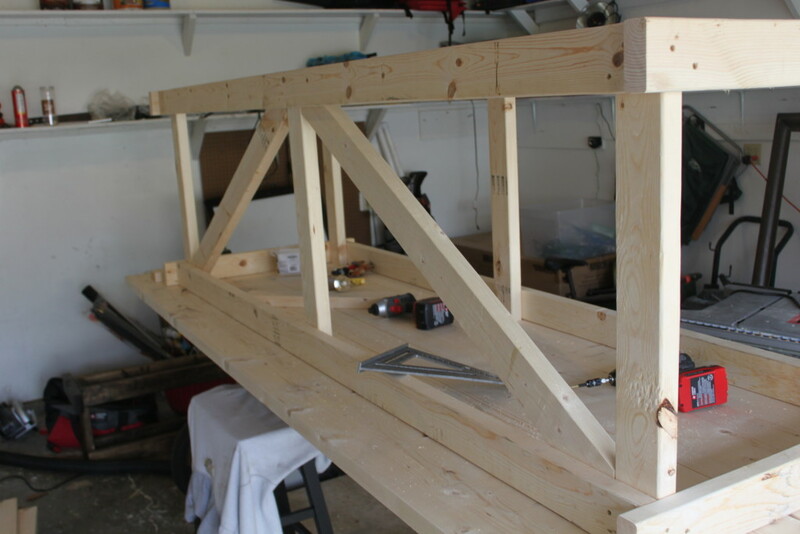 Most are surprised that with the constant barrage of projects, we don’t have a huge woodworking shop filled with tools. But in our ongoing goal to simplify, we learned a long time ago that if you have just a few good multi-purpose tools on hand, you can create almost anything your mind can imagine. And for us, it has been these 6 power tools that have paved the way for building the farm. If you are going to have only one tool to call your own, this is the one! When we first discovered the power and ease of an impact driver a few years back, it was pure joy. It can effortlessly drive screws into the hardest of woods, and makes removing stubborn bolts or screws a breeze. We use a Porter Cable 20 volt model and love it! Unlike an ordinary screw gun, the extra power of the impact driver pushes fasteners into your projects without strain. I can’t begin to tell you how many times it has easily fastened warping boards straight together when a nail gun or regular drill driver simply couldn’t. 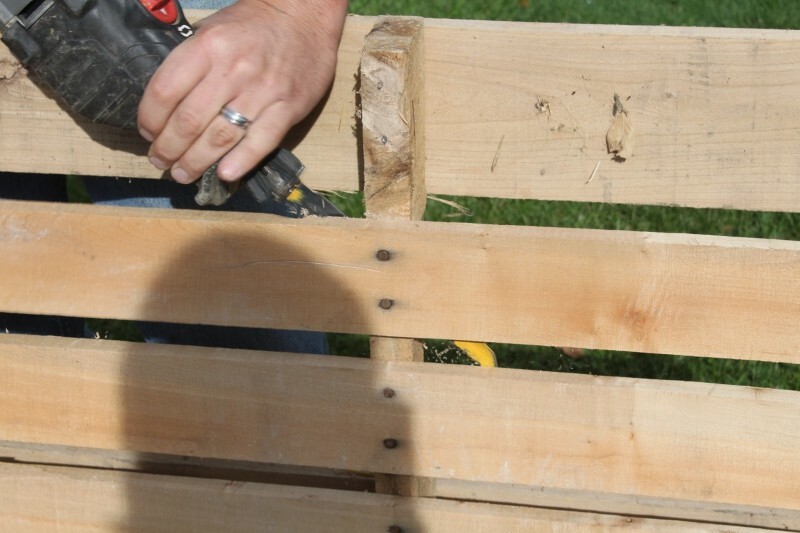 A jigsaw, drill and a tape measure is all you need to build your own pergola! The orbital jig saw is by far the most multi-purpose tool we own. It can be used as a circular saw to cut shelving boards, 2 x 4’s or plywood to length. It also cuts holes, curves and circles into wood, metal, plastic and more with ease. With every project, it seems like we find a new use or two for the saw! The tool with a hundred uses! Depending on the blade of choice, it can cut through metal, wood, plastic – or all three at once. Once you own one, you will be amazed at how many uses you will find for it. 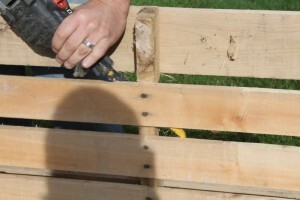 Cutting off the tops of fence posts, cutting out holes in the back of cabinets, or even removing limbs from a tree. 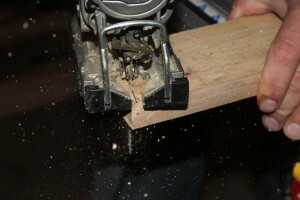 A table saw is one of the all-time greats when it comes to multi-purpose power tools. It is perfect for ripping down big pieces of plywood or project panels when building cabinets or shelves. 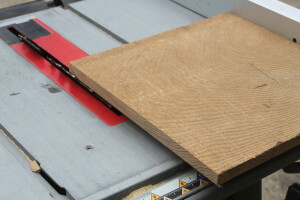 It also makes quick work of cutting boards to exact widths. For us, the compound miter saw is likely the most used tool of all. Whether cutting 2 x 4’s to identical lengths, or cutting legs to size for a table – this saw is fantastic. 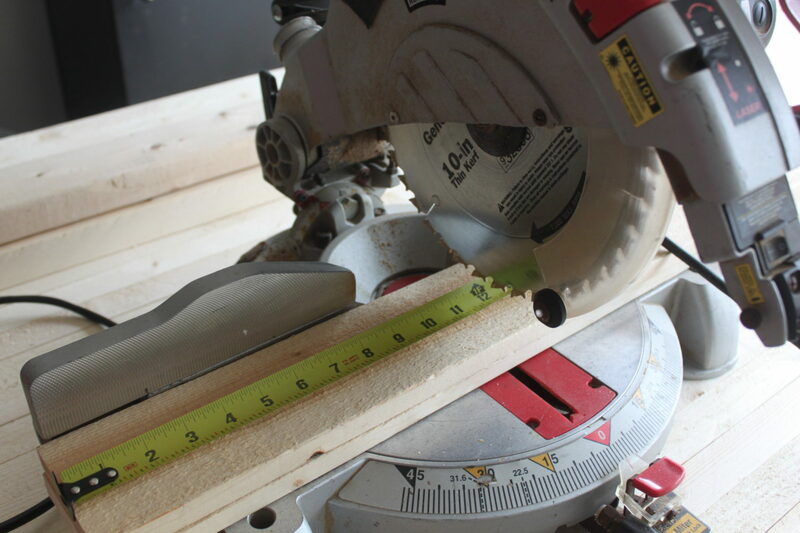 A compound miter saw is perfect for making perfect cuts! It make perfectly angled cuts for picture frames, trim work and more. 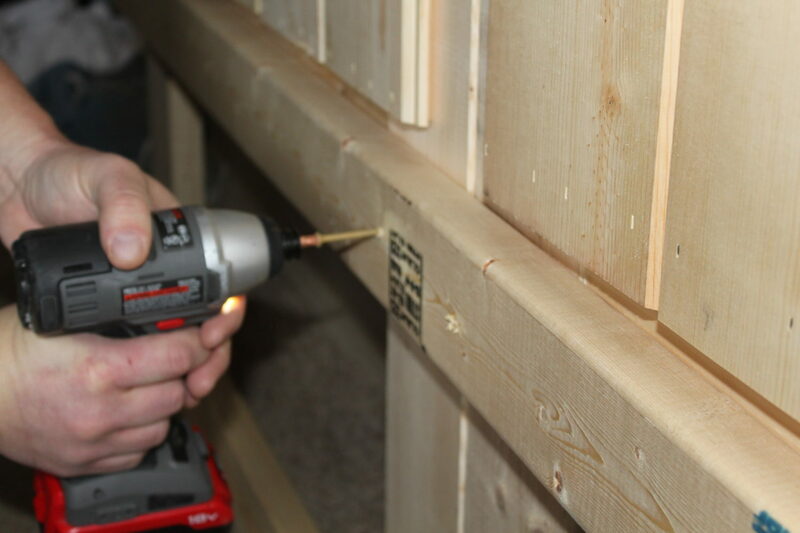 If you have ever struggled with a nail and hammer, or attempted to hold a board level while you tried to fasten it – then a nail gun is the answer! A nail gun eliminates nearly all the frustration and fatigue that comes with putting projects together. It makes difficult tasks like putting up trim a walk in the park. Not only will the finished project turn out better, your shoulders, back and body will thank you. A nail gun makes quick work of projects! So there you have it – the 6 power tools that helped us build the farm, and nearly every DIY project we still tackle. Feel free to add your own favorite power tools in the comment section at the end of the article! We always love to hear from our followers. Happy Building!– Jim and Mary. To receive our Recipes, DIY and Gardening articles each week, sign up to follow the blog via email in the right hand column above, “Like” us on Facebook, or follow us on Twitter. You can also check out our new book, Growing Simple, now available on Amazon.com. This post may contain affiliate links. Thank you Sir for the inf. We have retired to Southern Utah from Southern Calif. With a two page list of projects including dreams of a fantastic garden… It’s all good. OK. Have a Bostitch compressor and nail gun set due to arrive Tuesday…….Next question. What do you use fpr a table saw? We have a Bostitch compressor and nail gun set. I also have a couple of Hitachi nail guns. I have had really good performance from both. Hope that helps! I was considering an air nail gun however when I look at the local Home Depot store they had several types of nail guns available. What type of nail gun do you use? What brand of tools do you recommend ? 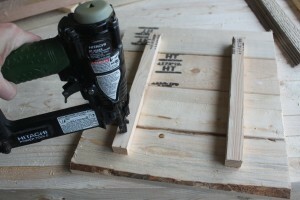 I would add the Kreg pocket hole jig. That changed my creating/building ability drastically!